Guy Opperman's Constituency Diary: Wylam's record breaker! My congratulations to Claire Hughes from Wylam, who has set a new world record as part of a team of rowers, Tyne Team Innovation. The mixed fours team completed the Talisker Whisky Atlantic Challenge, the world's toughest row involving 3000 miles across the Atlantic, in a record-beating time of 42 days, 10 hours and 26 minutes. 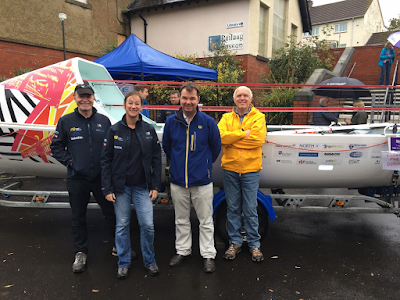 I was lucky enough to meet some of the team and see their boat for myself a few months ago, and I am delighted to hear that their incredible efforts were such a success. Congratulations to all the team!